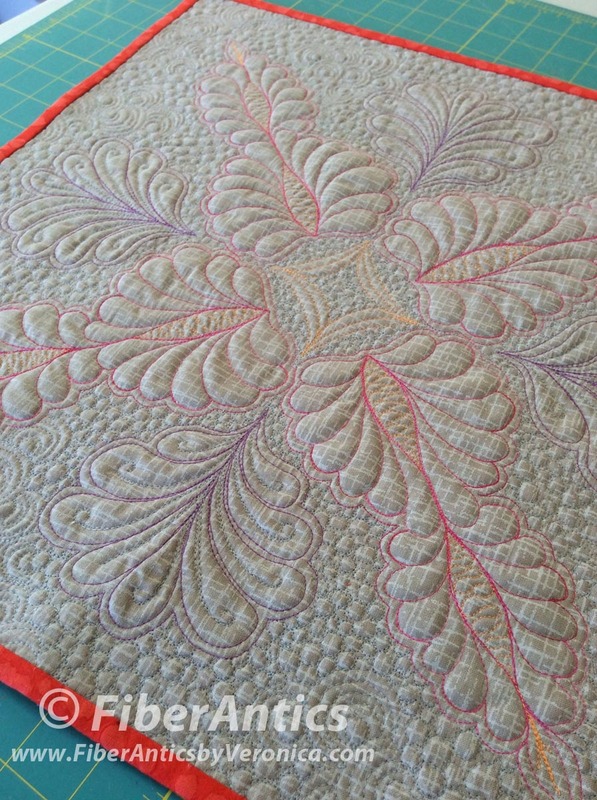 Free-motion quilting on Betula from Westrade Textiles. If you follow me on Instagram [veronica.fiberantics], you may have seen progress of these pieces as I was preparing for Spring Quilt Market in St. Louis. So not to neglect my blog and its readers, I'll post photos of the projects I've been working on for the last month or two. 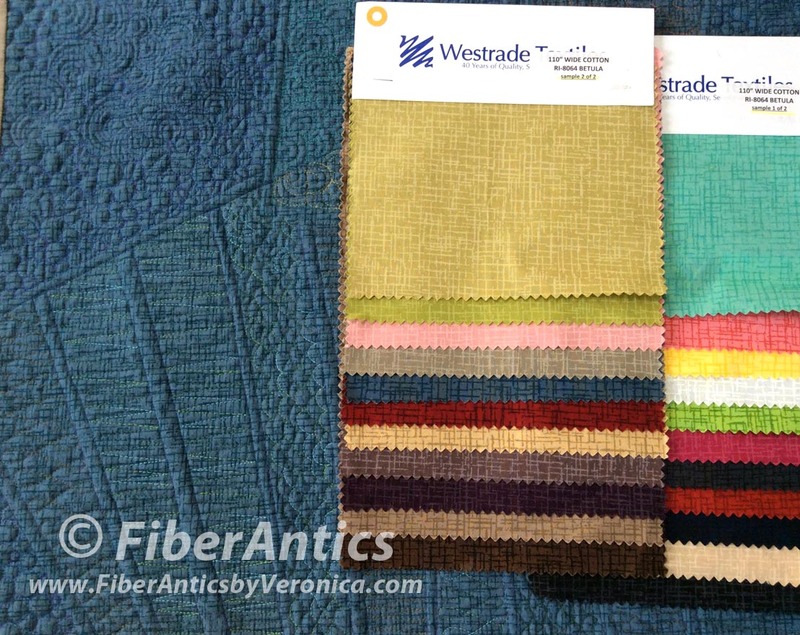 Westrade Textiles sent me a few lengths of their wide backings and asked if I would make a sample for their booth at Market. 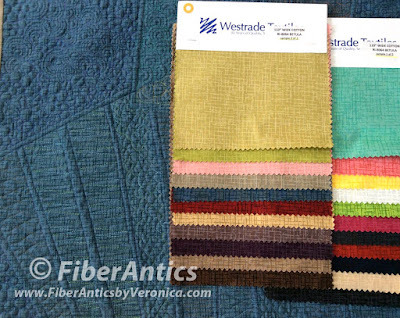 Westrade offers 110" wide quilt backings in a variety of designs and colors in cotton and brushed cottons. This sample is from the Betula collection. 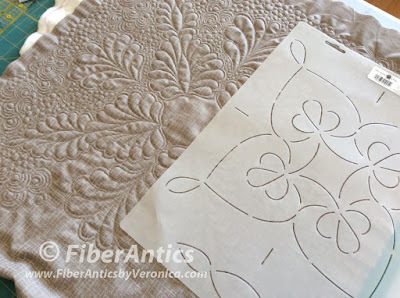 I used a quilting stencil as a springboard for the free-motion quilting feathers and fillers. 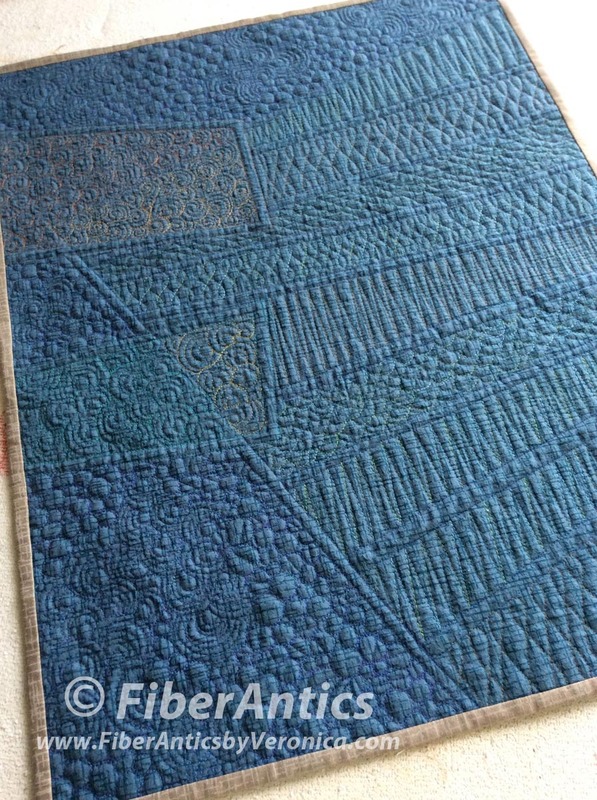 WonderFil Threads were used and it was free-motion quilted on a Janome 6500 domestic sewing machine. 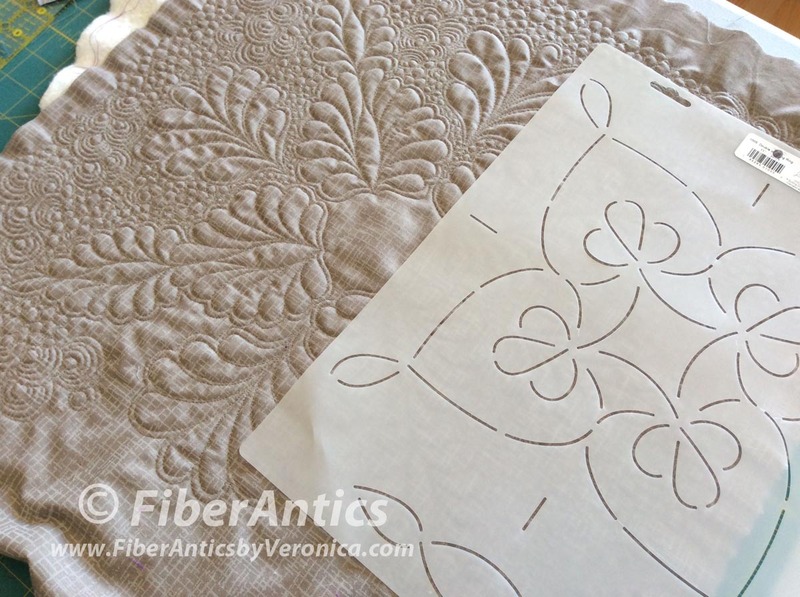 Using a quilting stencil as a guide for free-motion quilting. A second sample was with a brushed cotton from the Betula line. It was wonderfully lush to quilt with a brushed cotton... the stitches sink into the fabric... revealing a lovely, soft quilted texture. I practiced my rulerwork on this sample as well. Westrade Textiles 110" wide quilt backings. A contrasting color thread defines the rectangles. Betula brushed cotton wide backing with free-motion quilting. 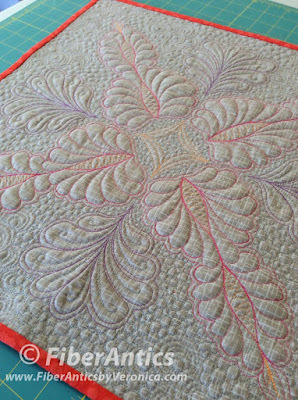 Another free-motion quilting sample went into the ADORNit booth for display. 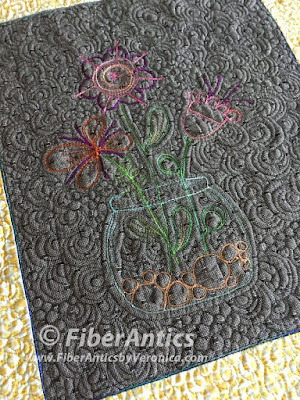 This piece incorporates one of their ArtPlay Stitchery embroidery patterns. These are cute, happy stitching designs that temporarily adhere to any background fabric—a yarn-dyed woven from Diamond Textiles was used here—and then wash away with water after the hand or machine embroidery is complete. 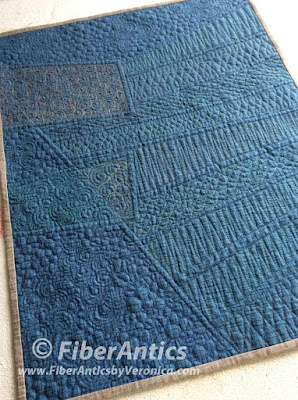 I used this stitchery for free-motion quilting. ArtPlay Stitchery pattern with free-motion quilting. 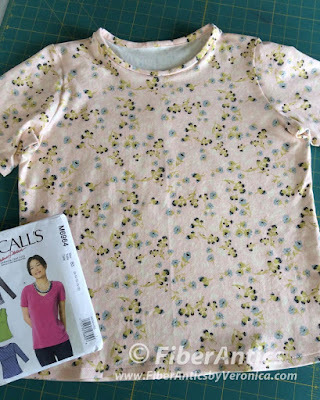 I made two knit tops using Art Gallery Fabrics [AGF] knit fabrics. These cotton pullovers are becoming a staple in my wardrobe—in short and long sleeves! The first top was color blocked and had a fabric accent on one sleeve. 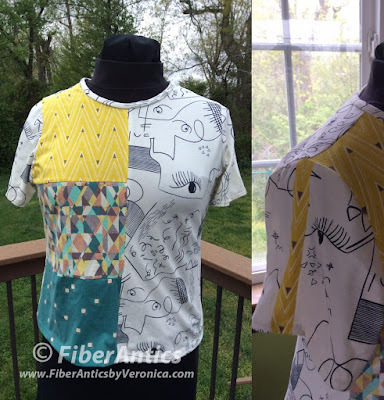 Color blocked T-shirt made with Art Gallery cotton knits. 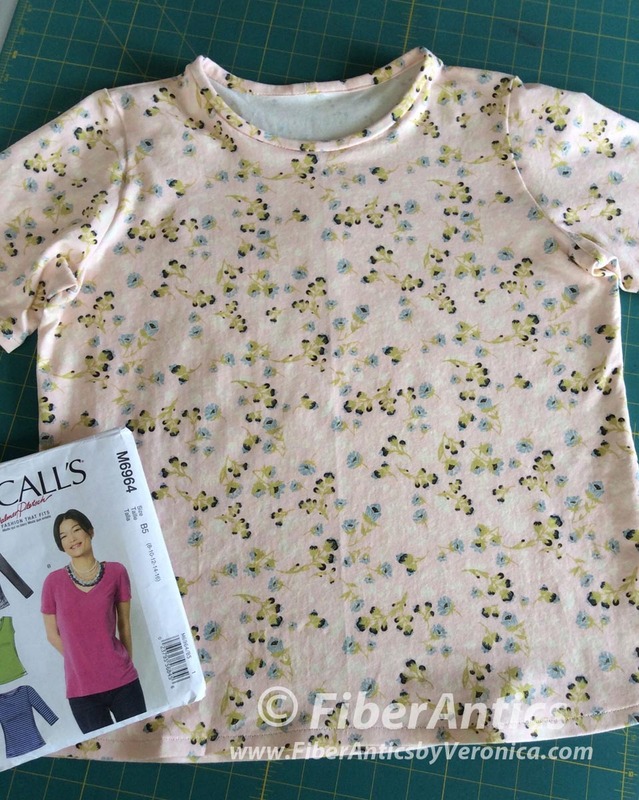 This second top used one of the AGF florals. I'm glad I brought a jacket to wear over my short sleeve tops. As expected, the conference center had the air conditioning set to "cool." 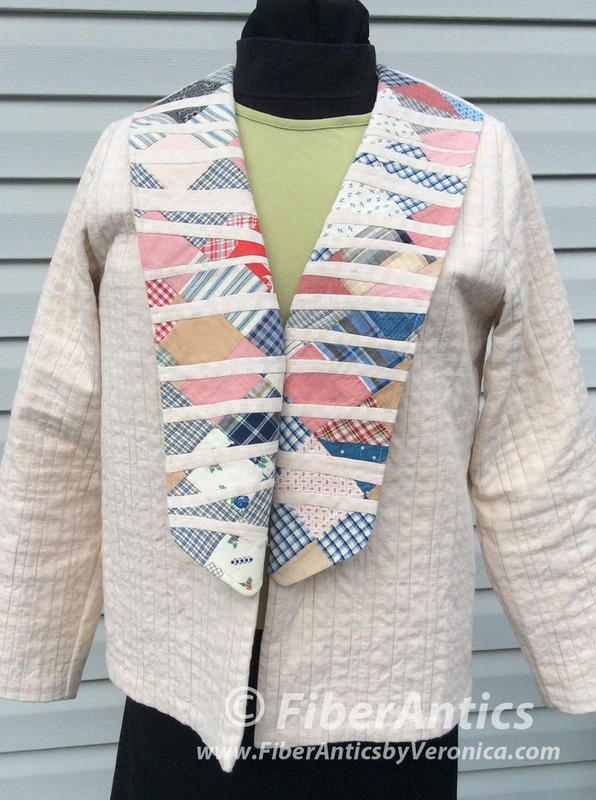 Details about the process for making this vintage-inspired jacket using Diamond Textiles yarn-dyed wovens and vintage orphan quilt pieces can be found at these two posts: Part 1 and Part 2. Yarn-dyed wovens and vintage textiles combined. To carry a notebook and my business cards, and to stash any handouts, marketing brochures, etc. that I picked up at Market, I made this totebag/briefcase. 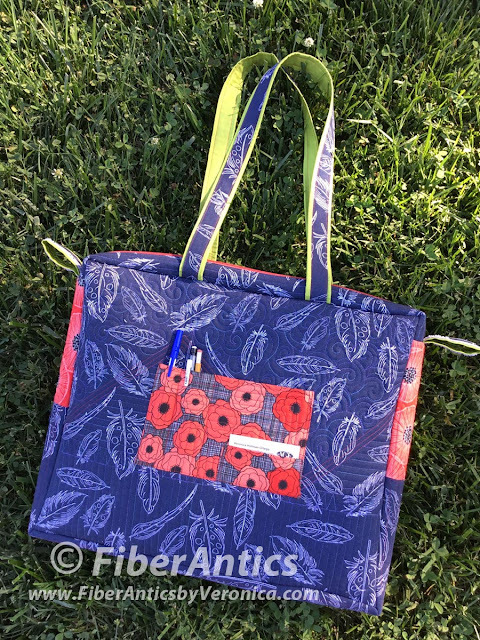 It combines Art Gallery's canvas and quilting cottons from Patrick Lose's Poppies in Bloom fabric line. This is yet another variation of the Cargo Duffle that I've made from this Noodlehead pattern. Here is the post about the first version I made using Alexander Henry's canvas fabric. Canvas briefcase/totebag. Variation of the Cargo Duffle by Noodleheadd. These projects are made from fabrics of the fabric companies I currently represent. If you are interested in any of these fabrics, please ask your local quilt shop to carry them. Support YLQS [your local quilt shop], keep your needles threaded and may your fabric stash be plentiful! Beautiful Samples Veronica! Very creative!